This is a game to play with students at the end of the year. 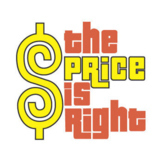 Students will be contestants on the Price is Right and will try to guess the prices of each item. The Price is Right... en espanol! 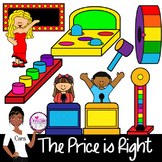 Clip Art~ The Price is Right Game Show Fun! Great Depression "Price is Right"
This is a short powerpoint activity comparing the prices of goods in the 1950s to now. Students guess how much goods of the time costed without going over. There are some very interesting contrasts with some goods. Play for fun or for prizes! Enjoy! Price is Right - Budgeting Game (College Version) *NEW!!! Game: With this game students will be able to review food, numbers and will learn how to ask for a product's price in Spanish. Divide the class up, in each round each group will have to try to guess the price of different foods. 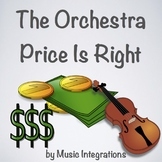 The group that gets closer without going over the price gets a point.